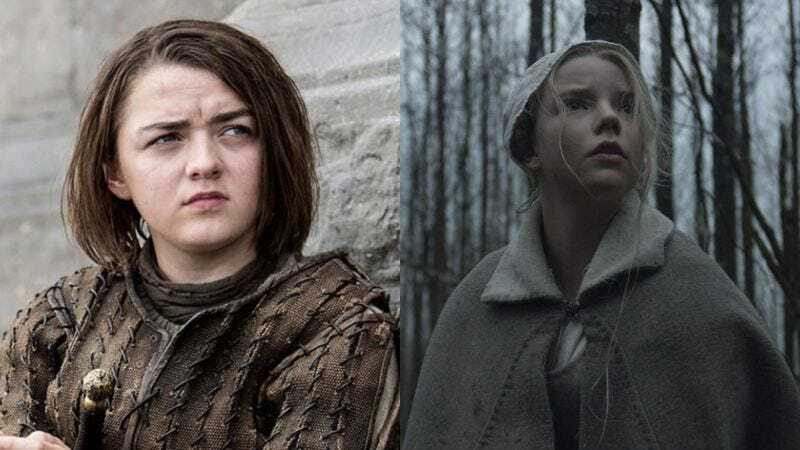 Finally confirming one of the worst-kept secrets in the world of superhero movies, Fox has announced that Maisie Williams from Game Of Thrones will be starring in the X-Men spin-off New Mutants. This comes from The Hollywood Reporter, which has also confirmed that Williams will be appearing alongside Anya Taylor-Joy, star of The Witch and Split. Williams, as we’ve known for quite a while, will be playing a mutant named Wolfsbane who has to “reconcile her religious beliefs with her power to turn into a wolf,” and Taylor-Joy will be Magik, a mutant with teleportation powers who is the sister of popular X-Man Colossus. She also eventually gets a badass sword in the comics, but we don’t know if that will happen in the movie. As for the rest of the cast, THR says Fox is “making serious efforts” to cast “ethnically appropriate” actors for the diverse team of teenage heroes, which also includes a “Brazilian ladies’ man,” a Native American, a Kentuckian, and an alien—though the studio probably won’t bother casting a real-life techno-organic shape-shifter for that last one. The original New Mutants comic was created by Chris Claremont and Bob McLeod in the ‘80s, and the movie version will be directed by Josh Boone. It’s penciled in for an April 13, 2018 release.